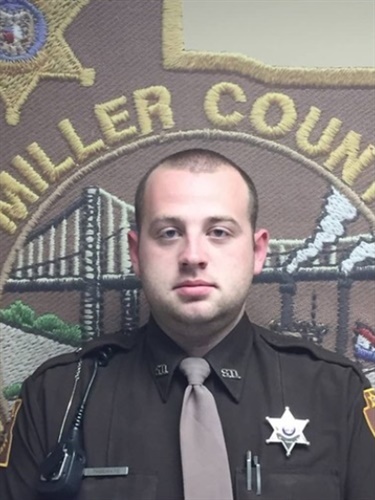 A Miller County (MO) Sheriff's deputy died in a head-on crash while responding to an emergency call Friday. Deputy Casey Shoemate was responding to a residential structure fire call, according to a Miller County Sheriff's Office release. The fire was reported to be on Hittridge Road off Route Y between Eldon and Rocky Mount, just north of Rabbit Hill Road. While driving to the scene on Route Y around 6 p.m., Shoemate had activated his emergency lights and siren in his patrol vehicle. He was travelling behind a firetruck. As Shoemate approached the intersection of Route Y and Rabbit Head Road, he entered into the oncoming lane of the highway to try and pass the firetruck ahead of him and crashed into an SUV. The driver of the SUV was seriously injured, KCRG TV reports.